Window World Windows has just been fifteen years in business, but it has already gained reputation for providing customers with high-quality, energy-efficient, and low-cost windows. From being a roadside stand in Wilmington, North Carolina, its founder Leon Whitworth worked hard and successfully transformed the company into 250 stores spanning forty-six US states. The company is considered one of the largest window replacement companies in North America, having customers from all walks of life. Today, Window World Windows proudly upholds its motto in every order received: Provide a superior product, installed by a professional craftsman, at a low price guarantee. Window World Windows has a lot of reasons to continue growing as a window company. It is accredited by the Better Business Bureau and Energy Star, and it received a Good Housekeeping Seal for quality and integrity. Aside from being an EPA-certified firm for producing lead-safe products, the company also takes pride in being licensed and insured, as well as in being able to comply with the unique requirements of every customer. Window World Windows distinguishes itself from other window companies by providing products with all features meticulous customers want. These windows are guaranteed to be leak proof and styled to reduce energy costs in the home. Aside from using top-of-the-line materials, these windows have strong construction and look clean from the inside out. These windows also protect the home from the elements like water, air, heat, and dust and dirt. These basic qualities are what set this company apart from the whole lot. Window World windows have a reinforced structure that consists of fusion-welded sashes and mainframe, which adds durability to them. This kind of structure does not chip, blister, or peel, making them last longer. The multi-point locking system considerably prevents successful break-ins, while the dual-locking handles ensure that the windows can only be opened from the inside. For comfort, these use multi-directional ventilation and twin-sealing side vents to increase airflow. For weatherability, these windows use a double barrier-fin weatherstripping at the side of the sashes, preventing water leakage and air infiltration. In case of condensation inside the glass, the sloped sill drains the water toward the exterior of the window. The Intercept spacer system provides thermal barrier and prevents the free escape of warm or cold air from the inside. Also, an inch of insulated glass is used to make the windows more energy efficient. 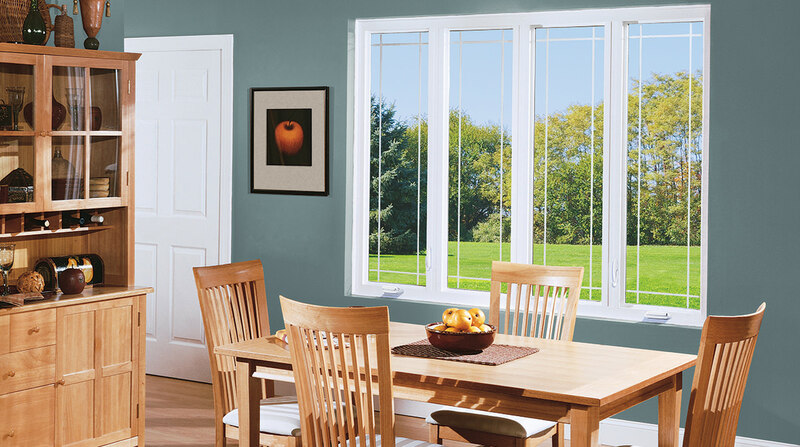 Window World Windows gives an all-inclusive lifetime warranty for its window products. This warranty includes vinyl parts, mechanical parts, insulated glass, glass breakage, and labor. However, there are general limitations and exclusions, especially for glass breakage, which says that situations concerning Acts of God are not included. This warranty is also transferable, but the transferee must send a notification, a fee, and some legal information to the company not exceeding thirty days from the transfer date. Window World is a window company with many offices in forty-five states throughout the United States, and is one of the largest outlets of window products. Since its founding in 1995, the company has grown in terms of reach, product offering, and manpower, making it one of the largest window replacement companies in the US. The company takes pride in selling products that are tested, well-crafted, and built to last. Products sold by Window World span six styles: double hung, bay and bow, awning, casement, sliding, and garden. These windows are certified by Energy Star, and the quality that they have afforded the company a Good Housekeeping seal. Apart from being energy efficient, these windows are proofed from water leaking, air infiltration, and sound penetration. Homeowners looking to reduce their heating and cooling costs will certainly appreciate the energy-saving capabilities of these windows. Furthermore, these are made from the finest and highest quality vinyl and plastic materials, so they are guaranteed to never crack, chip, rot, blister, or peel. The reinforced fusion-welded sash and mainframe provide strength and durability, while the multi-point locking system gives optimum security. These windows are also easy to clean, and the sloped sill prohibits water pool build-up at the bottom sash. These are some of the qualities that make these windows a good alternative for outdated and broken ones. For customers on a tight budget, the company offers a $189 window replacement deal. Moreover, these energy-efficient windows qualify for the government’s tax incentive credit program. When it comes to supplying windows with quality and durability, customers cannot go wrong in trusting their window needs to Window World. This company is considered the largest in window replacement for having about 190 offices in forty-five US states, allowing it to serve thousands of American homes timely and effectively. Aside from this proud size, it has also earned a Good Housekeeping seal and a certification from Energy Star. This EPA-certified business makes sure that every home has the right window style as needed. Windows according to operation are double hung, casement, awning, sliding, garden, and bay and bow. The best quality of these windows is being energy efficient, qualifying them for the government’s energy tax incentive credit. They use the company’s SolarZone insulated glass, which combines the power of low-E glass, argon gas, and warm-edge spacer system for superb energy efficiency. With the insulated glass, the damaging rays of the sun are blocked, preventing carpet and surface fading. The argon gas prevents fast convection inside the glass, while the spacer system prohibits condensation build-up. These three qualities are what homeowners need if they want to reduce heating and cooling costs. Aside from these features, windows from Window World are not susceptible to dust, dirt, air, and water. The sloped sill drains water down the bottom sash, preventing water pooling on that area. The screen tracks are totally hidden, and there are heavy-duty locks and hardware for optimum security. Like other brands, the company allows customers to configure their windows according to size, color, grille style, glass, and screen. Quality and affordability are two things that are hard to find in windows, but one company that provides both is Windowworld. Considered the largest window outlet in the US, this company has 186 offices sprinkled in forty-five states in North America. Bearing the Energy Star label and a Good Housekeeping seal, there is no doubt that this company offers quality aside from beauty and reliability. Windowworld offers six window styles to customers: double hung, casement, awning, garden, sliding, and bay and bow. These windows are made with fusion-welded sash and mainframe, making them superbly durable and strong. The high-quality vinyl used does not rot, chip, blister, peel, or crack, making these windows last for many years in homes located in any region. Also, these combine the three technologies known for providing energy efficiency in windows: warm-edge spacer, low emissivity glass, and argon gas. This triple combination renders a home almost impenetrable from ultraviolet lights and excess sun’s rays, elements that cause fading in home surfaces, carpets, and curtains. Moreover, these windows secure a home from break-ins with multi-point locks made from quality metal; the dual-locking handles double-proof the windows from hand or tool intervention from the outside. Aside from these technical capabilities, these windows are designed to let fresh breeze enter the home, especially with the awning and casement models that use a multi-directional ventilation system. For homeowners wishing to save money, the company has a $189 window replacement deal, aside from the fact that they can apply for the government’s tax incentive credit program.